Tustin, California–Chaturbate announced Lesa Marshall of Oklahoma as the winner of tickets for the Conor McGregor versus Floyd Mayweather fight held in Las Vegas, Nevada on Saturday, August 26. Marshall and the rest of the world watched as UFC mixed martial artist and first-time boxer, McGregor fell under the onslaught of veteran and still undefeated boxer, Mayweather. 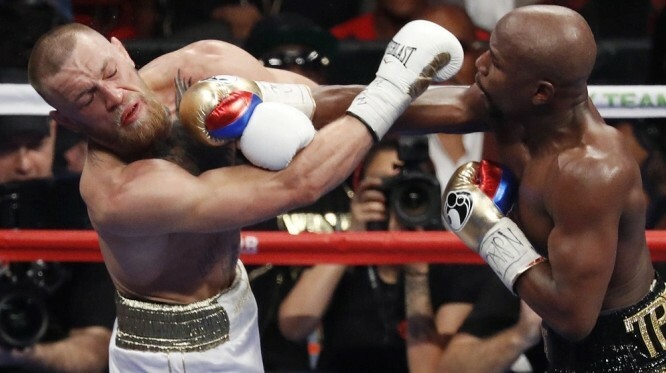 A strong assault to the popular Irishman’s head in the ninth and tenth rounds by Mayweather, forced referee Robert Byrd to halt the super welterweight fight at 1:05 of the 10th round. You can visit Chaturbate at Chaturbate.com.